heute stelle ich euch eine wirklich sehr ausgefallene Bluse vor. Sie vereint 3 Trends: Bubikragen, Spitze und Peplum. Außerdem ist sie in einem wunderschönen, frühlingshaften Pastellton. Um einen Stilbruch mit rein zubringen, habe ich sie mit meinen neuen Converse Sneakern kombiniert. Den Kontrast aus süßer Bluse und eher sportlichen Schuhen habe ich bis jetzt ja noch nicht ausprobiert, aber es gefällt mir wirklich gut und ist definitiv eine Kombination, die ich noch mehrmals ausprobieren werde. I love your outfit ! The blouse is very beautiful ! 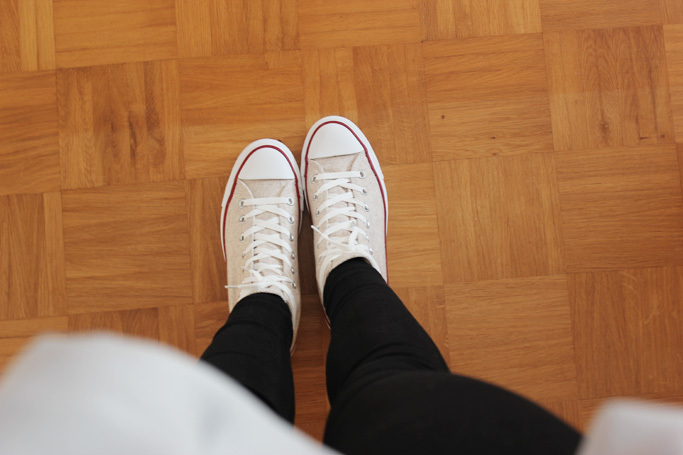 The color of your converse is really unique and pretty! Haven't seen any like those yet! 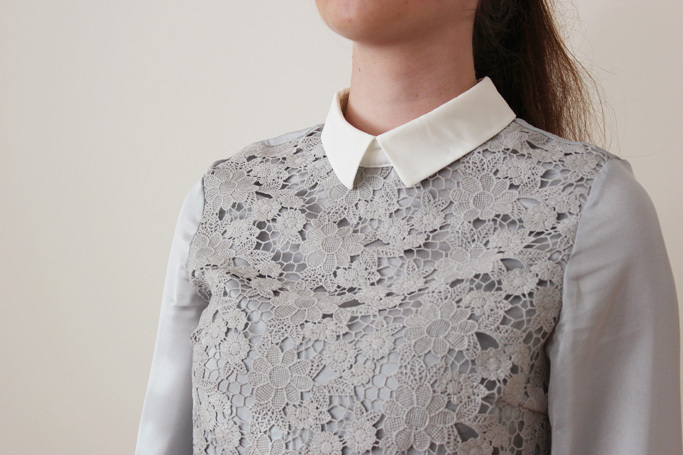 Beautiful blouse; the detail is stunning! So cute!! Love the peplum!! Die Bluse ist wirklich sehr schön und steht dir super gut! Adore that jumper! So cute! You look great! Very romantic! Like always, so pretty! You could definitely wear anything! Can't tell you enough how much I like your style. Very nice peplum and beautiful outfit! that sweater is soooooo cute!!! I really love it! you look amazing i love this pallet colour! Gorgeous look! 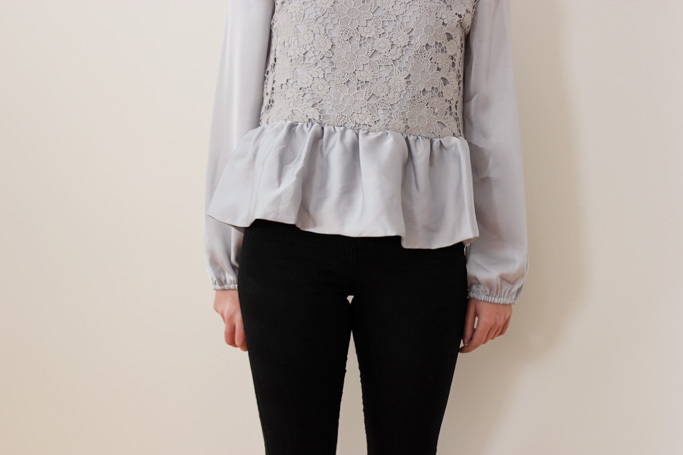 I love this blouse! Das dezente Grau sieht einfach nur toll aus. Beautiful look! I love your blouse! Thank you for visiting my blog! Do you want to see my last post? Pretty outfit! Love the peplum top and how you paired it with converse! aww you look so pretty and lovely! Wunderschönes Top!! Und du hast tolle lange Beine!! 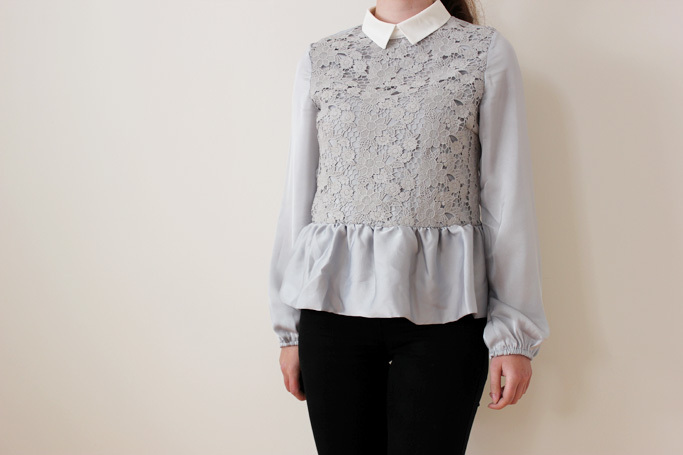 Love your beautiful blouse. Super stunning and pretty. Wahou I love your outfits! I really love how you style sneakers with softer pieces. Thanks so much for the comment/visit, dear. Your blog is lovely!